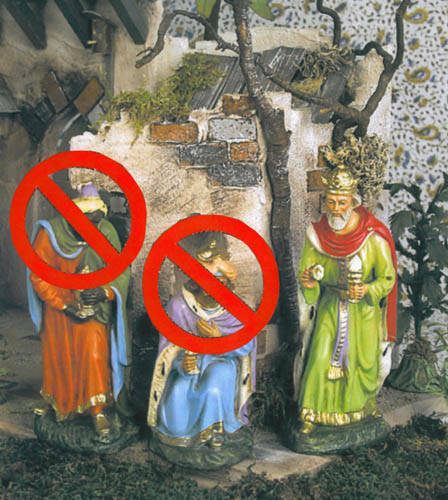 Just when the ugliness and absurdity of contemporary Italian xenophobia and racism have reached an all-time low, a northern Italian city has banned the Wise Men Melchior and Balthazar. Padaniapoli passed a town ordinance on November 27, 2009, two days before the first Sunday of Advent, ordering the removal of all representations of the two royal figures believed to have visited the Christ Child in Bethlehem. The ordinance bars the public display of Melchior and Balthazar in all public institutions and places. Miniature crèche (presepio) figures were no longer sold in local shops and the city’s famed Nativity scene set up Piazza Maggiore consists of the Holy Family and a solitary Caspar bearing his gift of myrrh. Italy on the Brink of Xenophobia?